Worrying reports have surfaced regarding Trump’s new healthcare secretary and his views on anti-vaccination. Tom Price now heading a department backed by a budget of over $1 trillion USD, is a member of a group that describes mandatory vaccination as “equivalent to human experimentation”. The group itself, the Association of American Physicians and Surgeons (AAPS) holds a number of unorthodox views on vaccination. In a 2007 Standard of Care, the Association seems to suggest that evidence-based medicine is a conspiracy orchestrated by the pharmaceutical industry. The appointment of a vaccine sceptic and a conspiracy theorist to such a high position is a worrying prospect. seemingly anti-scientific views, especially his stance regarding vaccinations. As far back as 2012 Trump has been posting on Twitter that he believes there is a link between vaccinations and autism. Since taking office on January 20, 2017, Trump does not seem to have let go of those views. His possible appointment of a prominent anti-vaccination supporter: Robert F Kennedy Jr to a panel investigating vaccine safety is causing concern within the medical community. His choice of health secretary even more so. Trump is a natural provocateur and his presidential campaign allowed him to exercise this ability to the full. His controversial remarks were spotlighted through months of intensive and unprecedented media coverage. His propensity to express his views through social media – especially Twitter – further amplifies their visibility. When it comes to issues such as vaccination, this can be incredibly dangerous. The fact that Trump now holds the unofficial office of Leader of the Free World lends a frightening legitimacy to the anti-vaccination movement – one that it does not deserve. Anti-vaccination is older than most are aware. Parents have protested the idea of their children being vaccinated as far back as 1840, when in Britain the smallpox vaccine was made mandatory for children. The modern anti-vaccination movement is largely based on a paper published in the Lancet in 1998, headed by Dr Andrew Wakefield. 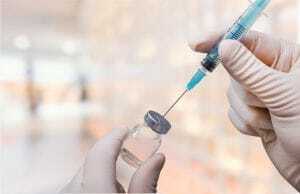 This paper linked increased usage of the measles, mumps and rubella (MMR) vaccine within the population with increasing numbers of children being diagnosed with autism. This paper has since been debunked and retracted from the journal. Ethical violations of the children were found to have taken place during the testing, it was uncovered that the children had been subject to invasive investigation without the necessary ethical clearances, prompting the retraction of the paper. The rebuttal was not just from an ethical point of view but a financial one. Financial backing was called into question due to a conflict of interests. Wakefield had been funded by lawyers representing parents who were conducting lawsuits against vaccine producing companies. Some see the paper as the result of a biased investigation intended to support the lawyers’ cases in court in order to profit in lawsuit cases against the vaccine companies involved. The study has undeniable flaws. The sample size consisted of only twelve subjects, though the data obtained is extrapolated to apply to the whole population.The twelve children were found to have been selectively chosen to give the intended result, rather than randomised. Epidemiological studies across the population were conducted shortly after which proved Wakefield’s claims false, with no links between the vaccine and autism found. Despite evidence proving the paper to be not only false, but biased and unethical, the anti-vaccination movement still cites it as truth. Many of the anti-vaccination movement’s tactics involve similarly unethical methods of convincing people to leave their children unvaccinated. Fear tactics and warnings of child mortality are commonplace, scaring parents into avoiding the vaccines with little mention of scientific backing of their claims. Another common reference is that until recently humanity thrived without the need for vaccines; that they are unnatural. This ignores the fact that life expectancy until the dawn of modern medicine was typically lower than 50, with untold numbers of lives lost to diseases that vaccines have all but eradicated. Immune overload is often mentioned despite scientific evidence suggesting the exact opposite effect. Anti-vaccination activists have themselves funded a primate based study ($250,000 USD of funding) in which they accidentally disproved everything they claim about vaccines causing brain damage. No reports of damage to mental capacity were found over the course of the study. As the president of the United States, the potential appointment of a well known anti-vaccination activist to a position where he is able to define whether or not vaccines are safe is irrational to the extreme. Peter Hotez, dean of the National School of Tropical Medicine at Baylor College of Medicine and president of the Sabin Vaccine Institute remarks on the issue “That’s very frightening; it’s difficult to imagine anyone less qualified to serve on a commission for vaccine science”. Many of the supporters of the anti-vaccination movement hailing Trump’s viewpoints are entirely less rational. Some such as Alex Jones of Infowars, famous for his conspiracy theories, attribute government vaccination drives to a grand conspiracy of government control. Many of the views expressed on his website regarding vaccines amount to anti-science. This is a man who recently expressed concerns that Obama is in a bunker plotting a Bolshevik style revolution against Trump, claiming to know more about science than those who have studied the subject their entire lives. The anti-vaccine viewpoint is quickly approaching the mainstream. Alex Jones, far from being discarded as a click bait peddling conspiracy theorist, had Trump live on his show shortly following his confirmation as president elect. Simply the association between the two may confirm some of Jones’s views as presidentially endorsed. This comes at a time when the anti-vaccination movement is gaining ground, with more and more parents opting to not vaccinate their children. Peter Hotez has predicted states such as Texas are most at risk due to their lower immunization rate. It has allowed measles, formerly eliminated in the US as of 2000, to resurge in the country, with 644 new cases reported in 2014. To what extent this trend of formerly eradicated diseases reappearing within the country occurs depends entirely on the approach President Trump takes on the matter in the coming months. A rally is due to take place on March 31st, taking to Washington to protest their “legal right to make informed, voluntary vaccine choices”. While it may sound admirable, informed could easily be replaced with “misled”. Momentum seems to be behind the anti-vaccination movement, spurred on by Trump’s election and legitimised by his government.